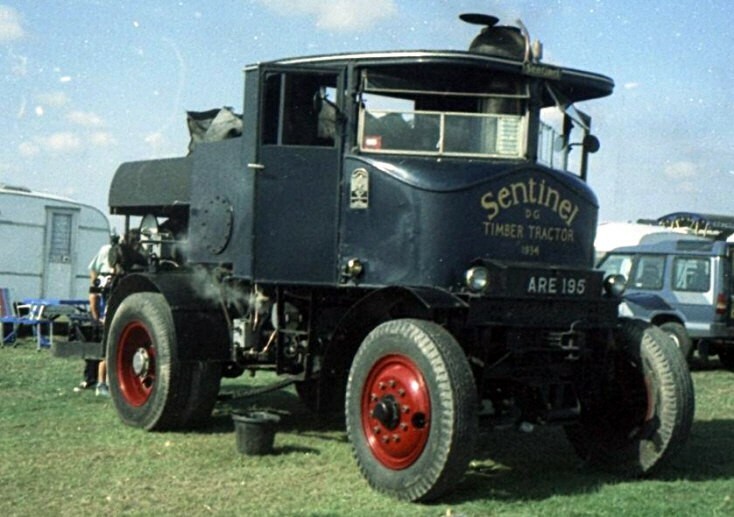 Another photo of the 1934 Sentinel Timber Tractor with registration ARE195. Geoffrey Gotts did an fantastic job of restoring this magnificent machine! I had the pleasure of stoking one Summers day in Cornwall. Added by Mary Hooper on 29 January 2012. Added by VideoPortal on 30 March 2017.